Recently divorced or separated people who are feeling unlucky in love this Valentine’s Day might want to think twice before writing in-depth journal entries about their negative feelings. 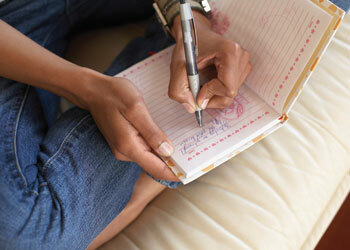 Although many health-care professionals encourage journaling, new research published in Clinical Psychological Science shows that writing in-depth about difficult feelings immediately after a split may do more harm than good. Psychological scientist David Sbarra of the University of Arizona and colleagues studied individuals who had physically separated from a spouse on an average of three months before the start of the study. After completing an initial assessment to determine their emotional baseline, participants were randomly assigned to one of three groups. Members of one group were asked to write about their feelings about their relationship through traditional expressive writing. Another group was asked to practice a technique known as narrative expressive writing — to write about feelings but within the framework of a narrative with a beginning, middle and end — effectively telling the story of the marriage. The third, the control group, was instructed to simply keep a journal of basic daily activities, without writing about emotions or opinions. The participants were asked to write in a journal, using their prescribed style, for 20 minutes a day for three consecutive days. Eight months later, their emotional state was re-evaluated in a follow-up assessment. The goal was to see if those who practiced narrative expressive writing would experience greater healing benefits than those assigned to do traditional expressive writing. 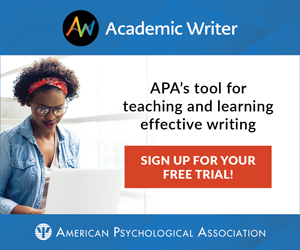 The unexpected results suggest expressive writing of any kind can actually hinder emotional recovery for certain individuals, whereas non-expressive control writing might be a more effective intervention. This was found to be true specifically among those labeled in the initial assessment as “high ruminators” — those with a tendency to brood over the circumstances of their separation in search of answers. Those in the study identified as “low ruminators” — those not brooding over their marital separation — had similar emotional outcomes regardless of what type of writing style they were assigned. Further research is needed, Sbarra said, to measure whether non-expressive control writing provides healing benefits over not journaling at all.